Micro cruisers - yachts under 22 feet in length - hold great appeal for many sailors, due to their economy, versatility and ease of handling. Many sailors return to micros after owning much larger yachts. But, cruising in a small boat needs forethought and careful preparation - of both boat and crew - in order to avoid problems from the outset. 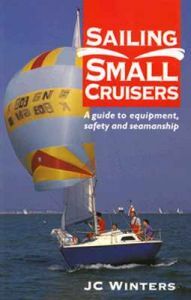 This book aims to assist skippers and crew to choose, equip and handle micro yachts by giving basic commonsense guidance on all aspects of boat, equipment, sailing and passage-making so that owners can enjoy their micros to the full. J.C. Winters is the author of "Surveying and Restoring Classic Boats and Trailer Sailing".